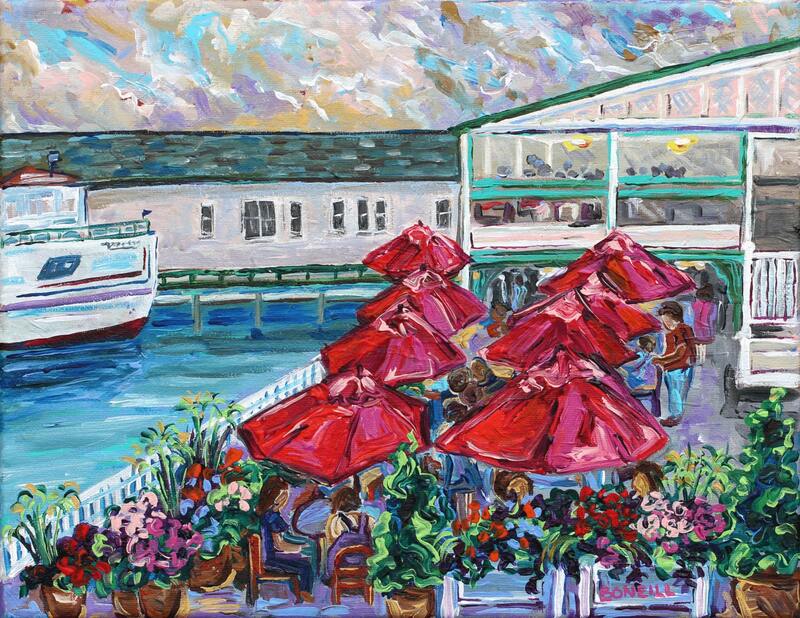 This is a beautiful giclee print of the "Pink Pony" restaurant on Mackinac Island. Dine on the water under pink umbrellas and watch Shepler's Ferry come in to dock. A favorite memory always! Your choice of a high quality giclee on fine art paper or gallery wrapped canvas. More sizes available upon request, all print ship for free in the USA.